I was on the verge of losing everything I owned before I hired Melanie Thompson to be my attorney. Other attorneys had turned down my case because they thought it was a lost cause. Because of Melanie and her staff I got to keep my house and much of my possessions. I highly recommend Melanie and her staff. They worked a miracles for me. Wonderful team of professionals that helped me through a difficult time. I would absolutely recommend them to anyone who is seeking legal representation. Melanie and her team were wonderful. For me to leave a review says a lot about the kind of service I received. Melanie D. Fenwick Thompson has exceeded all expectations. The firm has delivered what they promised and did it without making mistakes. The perfection that I have experienced has raised my level of expectations with everyone I associate. This firm will change your impression of what lawyers do the 1st day that you speak with them. Their consultation is friendly, firm, and informative. Choosing a legal representative just got simple – Melanie D. Fenwick Thompson. Give them a call and see first hand for yourself – There is no one who can represent you better while keeping you fully informed, giving you the peace of mind that you deserve. I worked as Melanie’s Senior Paralegal before leaving her firm for a family move to Tennessee. I was fortunate to see on a daily basis exactly what Melanie did for her clients, from intake, to resolution and beyond. Words like compasion, understanding, strength, knowledge, wisdom and patience come directly to mind. I saw first hand how Melanie took ownership in every case, and how every client became part of her family. I saw the countless hours spent producing the very best product, for each and every client. I saw the most professional and confident trial attorney, that never backed down, and argued on her clients behalf, with the confidence that came from her preparedness. Melanie’s record is outstanding. This is evident by the number of client referrals she receives. I would have her fight for me, or anyone I know! From the first day I requested her services, Melanie and her team have been highly professional,kind,caring as well as being knowledgeable about my individual case. I knew I would be well represented and treated fairly because of Melanie ‘ s representation. She goes above and beyond and as a result my case was dismissed. I cannot thank her and her team enough for their assistance in a case that was very stressful for myself and my family. I first utilized Fenwick Thompson & Associates nearly 10 years ago for my divorce. I didn’t really want the divorce, but it was the best decision for my children and I. Ms. Thompson was patient with me and very informative. Once I was ready to move forward, she was ALL OVER IT and the results were PHENOMENAL! Since then I’ve referred friends, family and my divorcing clients (www.JustJayme.com) to her for family and criminal law situations. She has provided STELLAR results for them as well. Being a small business owner, I know how important referral business is. Integrity, professionalism, and exceptional customer service are key components to any successful business. This firm provides each of those components to their clients, and because of that I will continue to refer Fenwick Thompson & Associates whenever possible. I have FTA to thank, in great part, for landing me in a very good position upon my divorce. I have and will continue to consult this firm for any ongoing family and other legal needs. I highly recommend this firm for anyone seeking to preserve or regain their parental rights. 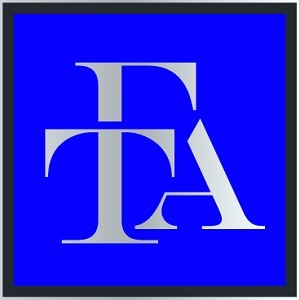 Fenwick Thompson & Associates are an AWESOME, SUPPORTIVE, DETERMINED! VERY PROFESSIONAL team that continually keeps you informed of the progress of your case. The team ALWAYS made me feel comfortable and confident i was being taken care of through a very difficult time in my life. I cannot began to express my gratitude toward this team. Please believe me….. I got MORE than I asked for in this case. What a VICTORY! JUST AMAZING!! Thank you Melanie! and Team! So everybody's story is different. My 'simple' divorce turned custody battle was horrific! I needed jurisdiction and for the Judge to CLEARLY SEE the signs of alienation and parental enmeshment. The process took 2 LONG GUT-WRENCHING YEARS but Attorney Melanie Fenwick Thompson and her Team did their best to prepare me for the Marathon. When it was our turn in court (BOTH DAYS), Attorney Fenwick Thompson's Energy was Confident and her Demeanor was Poised. She guided the Judge through the Intricate Details surrounding our case and was Strategic at Every Angle. When my emotional self attempted to interject, Attorney Fenwick Thompson and her Team carefully addressed my concerns.... and quickly switched back to Boss Mode! They did such an Exceptional Job of representing me that I remember waiting for the Judge's Final Order thinking- even if the ruling is not in my favor, I had Top Notch Representation. FINAL ORDER: The divorce was granted and I have Full Custody of All Three of My Girls! If you find yourself in a high stakes, extremely intense situation, I highly recommend that you Choose Fenwick Thompson and Associates. They Are Phenomenal!!!! Words can’t begin to express the confidence that I have in Fenwick Thompson & Associates, LLC. From my initial consultation to the completion of my case, every detail was handled with the highest level of integrity and expertise. While I have no doubt that Melanie and her paralegal, Sheri, represent the very “cream of the crop” in law firms, it is their genuine concern that set them apart. I feel that I not only had the very best legal representation, but I also had the pleasure of working with people who truly cared about me and my case. I had the greatest pleasure of experiencing the services provided by FTA. Inside and outside the courtroom, FTA helped navigate through one of the difficult processes of my life. My custody and visitation with my son was non existent and being completely ignored by the judicial system until FTA got involved. The experiences and guidance outside of the legal process was just as valuable and writing a review will never be good enough. However, if there are any fathers detached from the children and need assistance, please contact an attorney immediately and FTA is a super great place start. The entire staff will be there for you. Thank you FTA!!!! Prior to working with Fenwick Thompson & Associates, I worked with another firm and learned the hard way what working with just any old attorney will get you – a large bill, little to no respect, and poor representation. On the other hand, Fenwick Thompson & Associates showed genuine interest in my case as well as a constant sense of humility and understanding. More importantly, the representation I received in the court room was first class. My life and the lives of my children are better today because of my relationship with Fenwick Thompson & Associates!!!!! 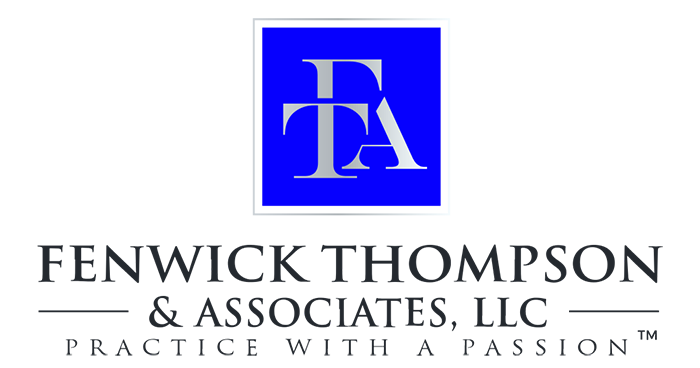 Fenwick Thompson & Associates are considered to be by most, the most dignified, professional, and knowledgeable firm in the business. There is no one who can represent you better while keeping you fully informed, giving you the peace of mind that you deserve. Bottomline, they get the job done in a timely manner. 5 Star!! Hands Down. I first utilized Fenwick Thompson & Associates nearly 10 years ago for my divorce. I didn’t really want the divorce, but it was the best decision for my children and I. Ms. Thompson was patient with me and very informative. Once I was ready to move forward, she was ALL OVER IT and the results were PHENOMENAL! Since then I’ve referred friends, family and my divorcing clients to her for family and criminal law situations. She has provided STELLAR results for them as well. Being a small business owner, I know how important referral business is. Integrity, professionalism, and exceptional customer service are key components to any successful business. 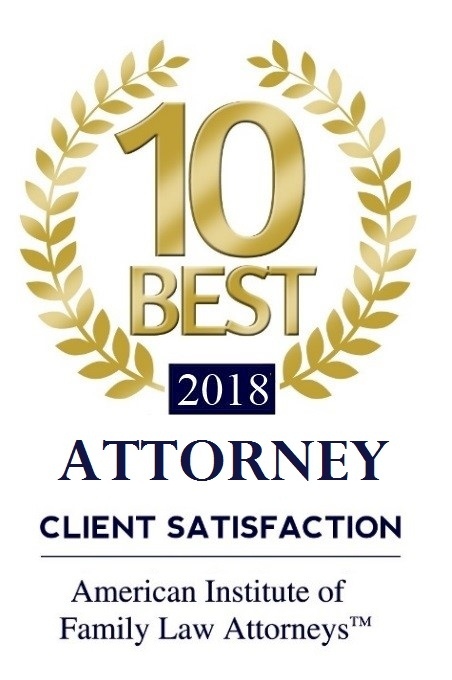 This firm provides each of those components to their clients, and because of that I will continue to refer Fenwick Thompson & Associates whenever possible. I would just like to say thank you, on behalf of [my child] and myself. Mrs. Fenwick Thompson, you and your staff have not only exceeded my expectations; I feel that you have all gone way beyond normal Attorney/Client privileges. It is duly noted. It is also felt from a thousand miles away. Without the help from you and your staff, I do not know what I would do. I just can’t thank you guys enough. Thank you for your efforts, diligence, sincerity and all the other words that I just cannot think of right now. What can I say... I was faced with a very sensitive lawsuit that needed an attorney that knew how to put the brakes on and get things right on track. That was exactly what attorney Melanie D.Fenwick Thompson provided , although I must confess that our initial consultation was brash and direct I realized that was exactly who I needed in my corner to get the results I desired. 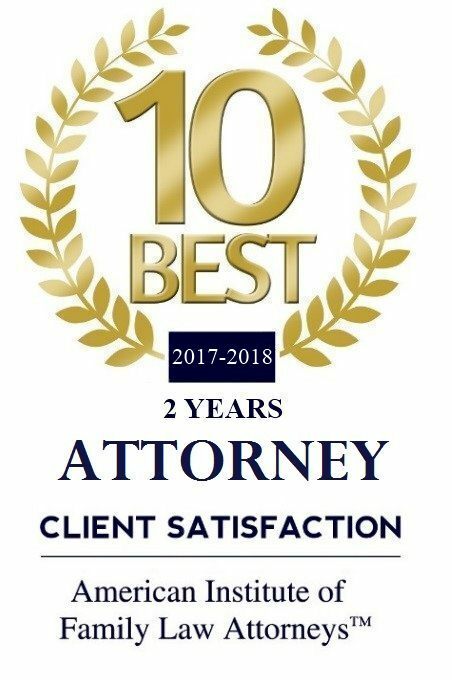 I was very fortunate to have the support of Melanie Thompson and her team of efficient Paralegals during my time of stress and need handling my Family Law dispute. My initial consultation was both pleasant and comforting, as I was confident that Melanie would represent me to the fullest extent. I was amazed at the promptness of getting my documents filed and how organized everyone was in compiling tons of information to effectively prepare for my case. Melanie's knowledge and experience especially shined in the courtroom as she argued my case passionately and thoroughly. Not only did Mrs. Thompson's argument convince the Court to not grant the Plaintiff's unreasonable requests, but she was able to get the previous court order modified in my favor as well. I can't say thank you enough to Fenwick Thompson and Associates for providing such a professional and stress free experience during my time of need. I will definitely contact them again to stand by my side should another family dispute arise. I would, without hesitation, recommend anyone to contact Melanie if they need a Family Law expert to represent them. Having found Attorney Melanie and her staff has been a God sent! Not only did she turn my husbands case around for the good from another firm that was very unprofessional. She was very open and very tentative to the wants and needs in his visitation/custody matter. FTA worked ever so quickly and professionally and kept their word. Our family is so appreciative and grateful of the service FTA provided. Again THANK YOU!! !